Being a business owner or business professional brings with it responsibilities and demands at all levels, from home to work and community. Sometimes you are so busy looking after everyone else, that important things like planning your personal future financial security or developing business financial growth strategies are pushed to the bottom of the list. At Alman Partners we can help you make those important decisions. We specialise in working with business owners and professionals who generally have complex needs. Our approach is centred on taking the time to get to know and understand your particular situation. While the principles of personal planning apply to all people, we also understand business owners and professionals encounter unique issues. One thing we know for sure is this, most are time poor. We are all subject to the immutable law of 168 which means we only have 168 hours per week. 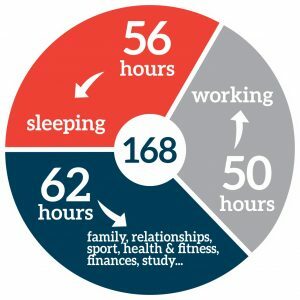 56 of those hours are spent sleeping; 50 – 60 hours are generally spent working; that only leave up to 62 hours per week to allocate to your family, relationships, sport, health and fitness, finances, study and for your quality of life. Your quality of life is a function of how you choose to spend these precious hours. I don’t know about you, but spending 3 hours late at night researching the latest speculative mining stock is not likely to add to your qualify of life, nor bank balance for that matter. The key is to spend your valuable time wisely, and delegate the things that can be delegated to trusted professionals. As your strategic financial advisers, we not only provide you with “World Class Investment Solutions” we ensure all of your trusted advisers are on the same page. Every decision you make in key areas of your business has the potential to impact on another. Therefore we regularly work side by side with all our client’s key advisers. We can also introduce experts into your trusted team if you require. At Alman Partners we are here to help you make smart financial decisions, in line with the things that matter most to you in your life. Generally the majority of our clients are referred to our firm from either one of our existing clients, family friends, business associates or aligned professionals. To give you the best tailored advice possible, we have developed a process that will involve you in every step and help you understand why we make the recommendations we do, while respecting your valuable time. We get to know you and understand your situation. Once you’ve contacted our office and had a brief phone conversation with one of our senior advisers, you will be invited to a Discovery Meeting. This is a great opportunity to get to know each other in a relaxed environment. We will identify what has prompted you to make the step to talk to us, and start to scope your areas of need. You will also have the opportunity to explore our expertise, our services, and our team. We will outline our fee schedule in detail, as one of our key philosophies is to be open and upfront about our pricing, so you know exactly what to expect. The fee for the Discovery Meeting is $330 (inc. GST) and will take around an hour to conduct. At the end of the Discovery Meeting we will make a decision together. Is there value in you taking the next step and attending an in-depth Concept Meeting? There is no additional fee for the Concept Meeting. The Concept Meeting is a chance to explore in more detail, your aims and objectives. Prior to the meeting we will ask you to complete a copy of our Personal / Business Financial Profile, which will supply us with the information required to assess where you are, identify any gaps and discuss strategy options. We will also investigate your specific needs such as providing support for children, moving towards retirement, business sale, securing your future after divorce or establishing a well thought out investment strategy. Legal issues, including estate planning. At the conclusion of this discussion we should have a clear scope of the advice and assistance you require from our firm. This meeting will take approximately 2 hours. At this stage we will be in a position to provide you with a clear proposal of our services offered. As a fee for service firm, we will quote you a fixed fee to develop, present and implement your personal financial plan. Prior to making your decision to engage our firm, you will know everything you need to know to make an informed decision. One service our prospective clients continue to give us rave reviews about is our Second Opinion Service. With all the complexity and volatility in today’s financial markets, research shows over 80% of investors do not really understand their current investment portfolio’s risk characteristics. They are unsure if the advice they are receiving is objective and unbiased, and they generally do not know what the total costs are. Importantly, many are unable to answer the question of “how their portfolio is performing against reliable benchmarks”. Alman Partners offer you the opportunity to gain a second opinion on your situation. If you’re in good shape we will tell you to stay where you are. Our advisers will also list areas of concern and key issues that we have identified, so you can address them with your current adviser. If we believe we can add significant value to your situation, we will also provide you with a comprehensive proposal, outlining our advice and implementation processes. Welcome to the Alman Partners Community! At Alman Partners we aspire to have productive long term relationships with our clients. In some cases we are now looking after the financial affairs of the children of people we started working with 30 years ago. These successful relationships are built on our core philosophies of leading, educating and inspiring our clients. As an Alman Partners client you will have regular review and planning meetings with your adviser and easy phone access to all of our experts. You’ll also get to know our brilliant support team who will deal with any day to day issues like setting up appointments, completing paperwork or assisting with with 3rd parties such as Centrelink as an example . Interesting case studies, regular blogs which can be accessed via email, Facebook or our website, and our YouTube channel. We believe that education is critical to your success as an investor, so we provide you with access to webinars, seminars and video events that will increase your knowledge and confidence. 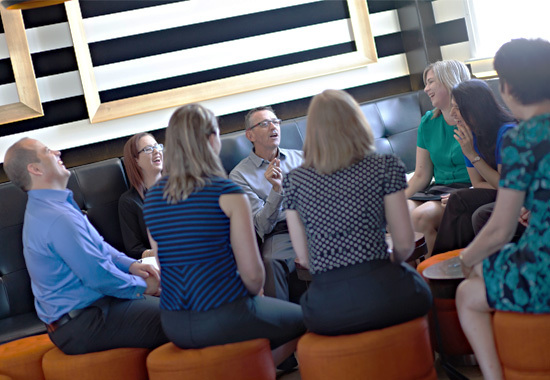 Because we do spend many years working with our clients, we build very close relationships. From time to time we endeavour to arrange various opportunities to socialise with our client community.